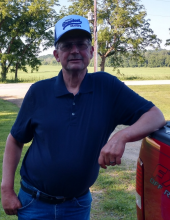 Timothy Joseph McCarthy, age 60 of Evansville, Wisconsin passed away Saturday, January 5, 2019 at Agrace Hospice in Janesville, Wisconsin following a two-year battle with cancer. Tim was born in Menomonie, Wisconsin on July 31, 1958 to Harvey and Frances (Schumacher) McCarthy. He married Stephanie Kohman on September 16, 1989. Tim enjoyed hunting and visiting with family and friends. He worked in the agriculture industry his entire life earning the nickname “Farmer”. Tim is survived by his wife, Stephanie; daughter, Olivia (William Haggerty); granddaughter, Alexandria; brothers, Dennis (Kathy), Michael, and Daniel (Shauna); his sister, Denise Cole; and many nieces and nephews. He is preceded in death by his parents. Funeral services will be held on Monday, January 28, 2019 at 11:00 a.m. at St. Augustine Catholic Church, 280 Haberdale Drive, Footville, Wisconsin with Reverend Kevin Dooley presiding. A visitation will be held prior to the service at 10:00 a.m. Lunch will be provided by the CWCM following the service. Ward-Hurtley Funeral Home Evansville is assisting the family. To plant a tree in memory of Timothy Joseph McCarthy, please visit our Tribute Store. "Email Address" would like to share the life celebration of Timothy Joseph McCarthy. Click on the "link" to go to share a favorite memory or leave a condolence message for the family.